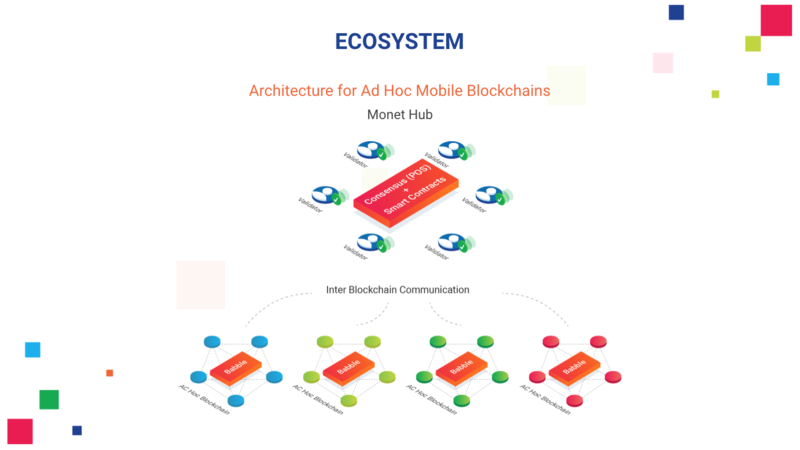 MONET is a public network architecture for mobile blockchains on demand. 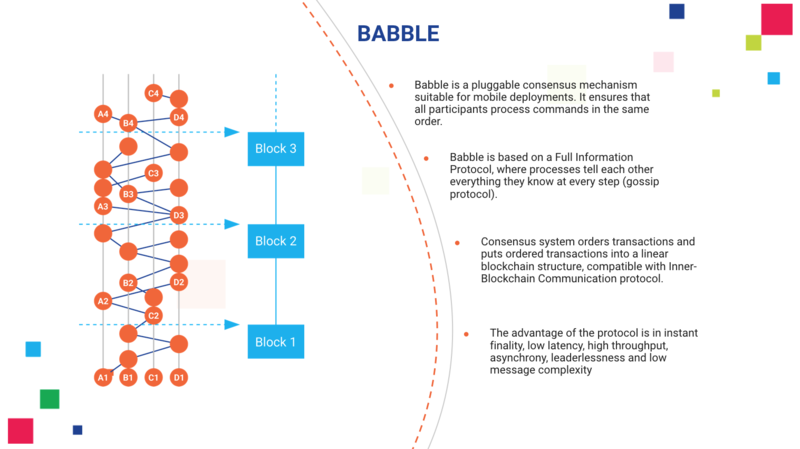 It is an open-source infrastructure that enables groups of people involved in any task or activity to form temporary networks with their mobile devices, and coordinate themselves without trusted third parties as intermediaries. 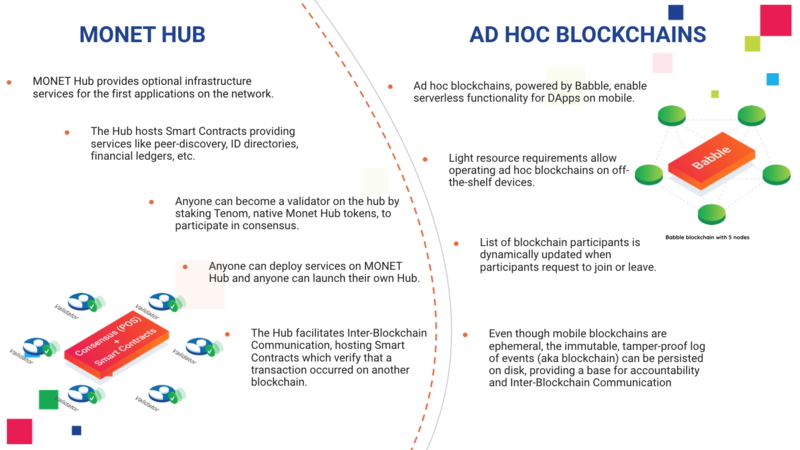 There are many different ways that mobile ad hoc blockchains can be applied to real life user interactions: delivery, housing, office space, payments and loans, professional and personal services, pre-owned goods and custom products, networking and learning, etc. 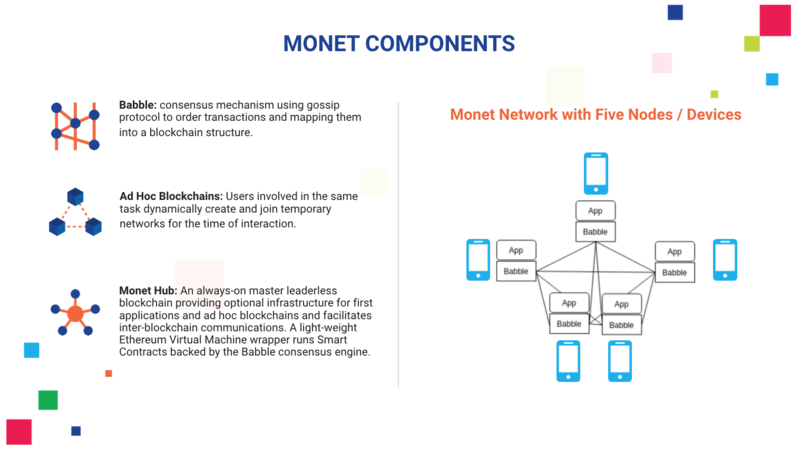 Transportation: Monet could enable a fully decentralized Uber that would cut out the expensive service provider intermediary via ad hoc blockchains. Finance: Monet could allow for the creation of sharded cryptocurrencies, where the shards are mobile. 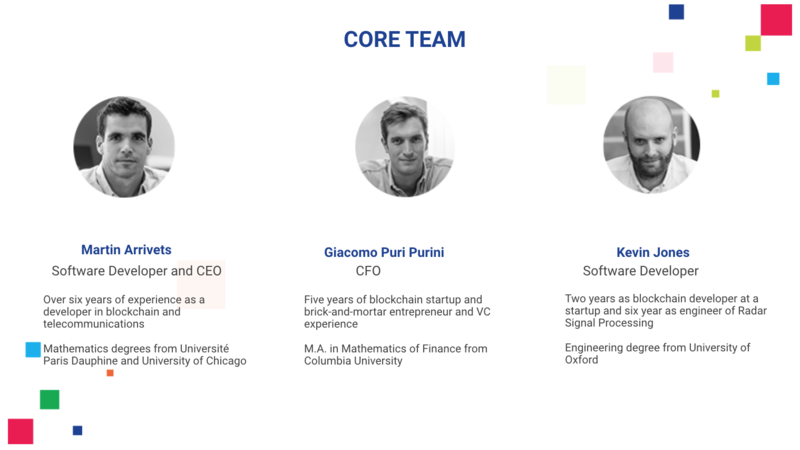 Groups of individuals could withdraw funds from a main ledger, deposit into a temporary ad hoc blockchain, transact exclusively among themselves and then return to the main ledger. 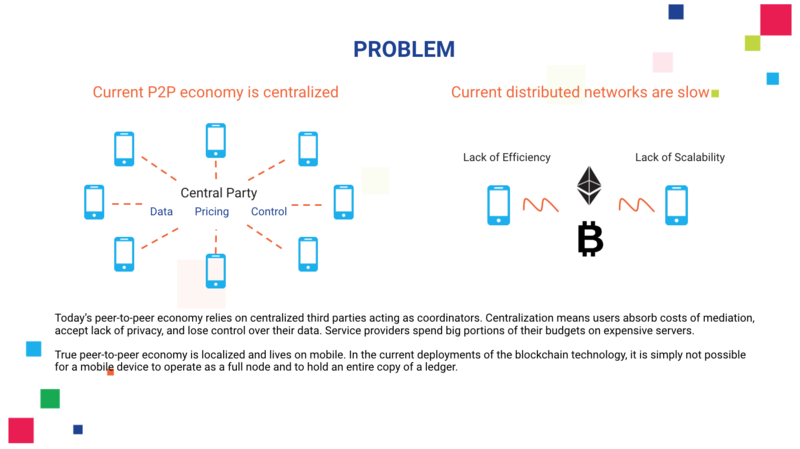 Gaming: Monet could provide a free framework for game developers to connect with a network of users already equipped for p2p coordination, eliminating the need for a centralized server to coordinate multiplayer game participants. 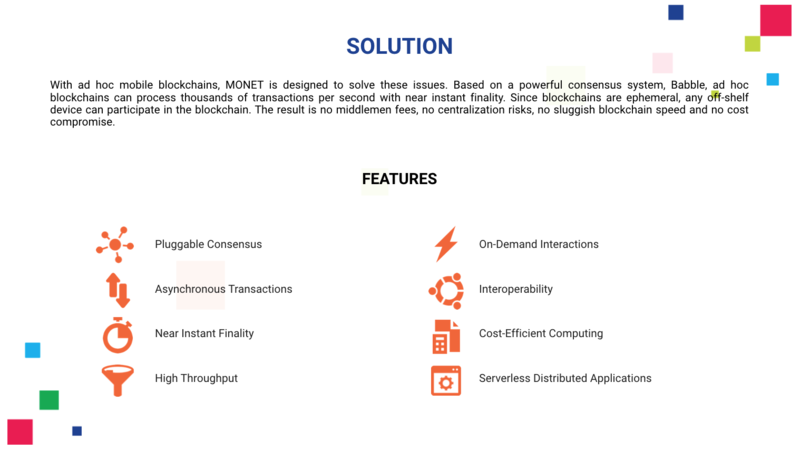 Market: The market potential for the MONET.network’s mobile, on demand blockchains spans across many different industries: finance, transportation, networking, etc. 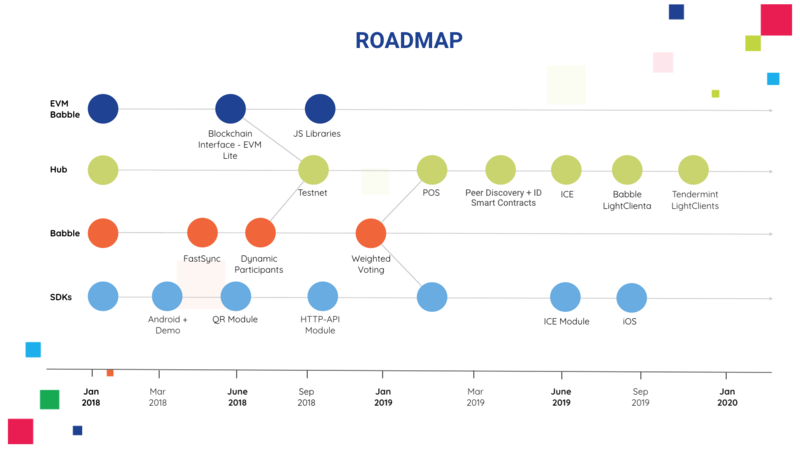 These industries’ user bases all interact via third-party applications, and it is the MONET.network’s work that is crucial to breaking the reliance upon expensive centralized services that compromise the security of user data.